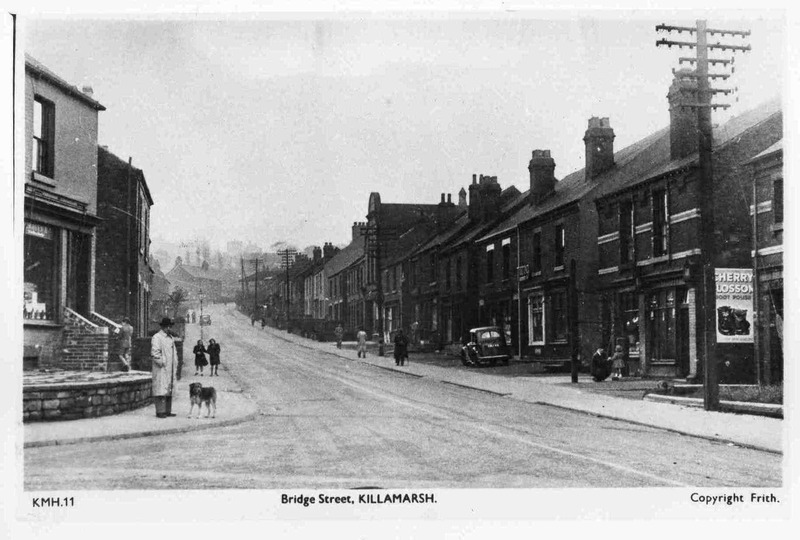 Bridge Street, Killamarsh. Man on corner possibly Mr Bramall. Photo copyright Frith. I have looked at this photo before , everytime amazed. Only wished I knew the exact year this was taken, as I highly suspect that the two girls walking towards the man on the corner might be my Mom and her friend. She lived at No. 15 Bridge street with her Aunt, Eliza Hancock. Mom was Betty Buckley, born 1924. Sadly she died in 2007 in South Africa. If only I could have shown her the pic she would have known. I googled No. 15 Bridge street and see it is a fish shop now. I suspect where the two girls are standing is right in front of No. 15. I have never been to England but love reading the forums and history where my Mom lived and worked in Hospital during WW 2.